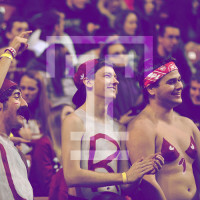 Media Studies & Production majors reflect on their time at Temple. In the first segment, Maia Morton, Jon DiMascio, Jaiwei Yuan, Kenza Bousseloub, and Naya Patrick-Soicer emphasize the connections and friendships they’ve made and the opportunities offered to MSP students. Next, Clement Baa-Adomako, Madison Hall, Jacob McGlew, Mariel Ferry, Emily Brigham, and Yoomin Sun air their grievances over the types of classes offered and how Temple has responded to controversy surrounding the proposed stadium and the allegations against AEPi. Finally, in the last segment, Jeremy Meglen, Mohab Abou Elalla, Cameron Morris, and Jenna Miele discuss living on-campus versus off-campus and their favorite MSP classes.